The gutters around your roof are undoubtedly a horror story right now. They’re probably stuffed with dirt, leaves, and whatever animals decided to nestle themselves up there. Though spring cleaning will definitely unearth these terrors, take heart, because there might be some micrometeorites trapped in your gutters, too. In a study published in November in Geology, a team of European scientists analyzed material from a group called Project Stardust, which asked people in Oslo, Norway to collect debris on their rooftops. 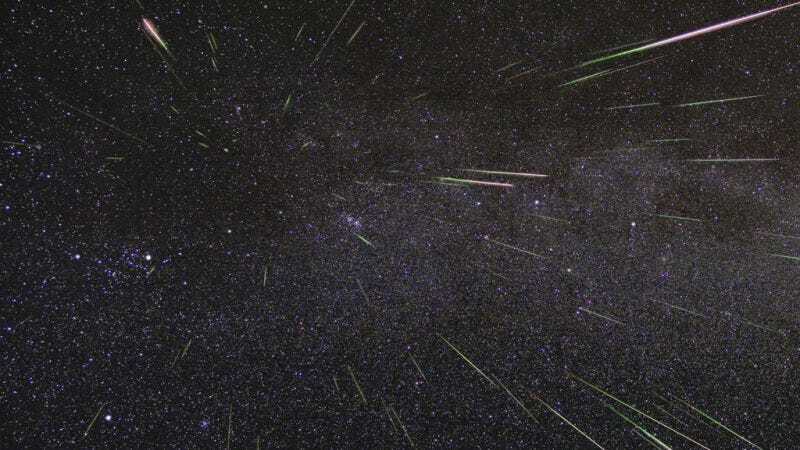 The leader of Project Stardust, Jon Larsen, also assisted as co-author on this study, which confirmed that “urban meteorites” are not just an urban legend—they’re literally as close to home as you can get. Out of the 661 pounds of rooftop debris the team analyzed, 48 samples were confirmed as “cosmic spherules,” formed by extreme melting as a meteorite heats up in Earth’s atmosphere. The team’s findings include some of the largest—and youngest—micrometeorites ever discovered. It’s important to keep the “large” part in perspective, since these samples are actually between 300 and 400 microns in size, making them extremely difficult to see without the aid of a microscope. “The micrometeorites in the new collection are mainly found on the roofs of buildings with a maximum of 50 years of age, so it can be assumed that the stones have a terrestrial age of 0–50 years, which make them fresh compared with most of the micrometeorites in the other collections,” Larsen wrote in an essay shared with Gizmodo. As the team noted in their study, the idea of urban micrometeorites has long been dismissed as a myth. The latest discovery proves that urban micrometeorites are in fact real, and moreover, that scientists don’t have to go to remote regions like Antarctica to find these tiny cosmic intruders. More than 100 billion micrometeorites are believed to fall to Earth each year. So, if you’re a space enthusiast but a lazy housekeeper, this could give you an added incentive to clean those gutters.